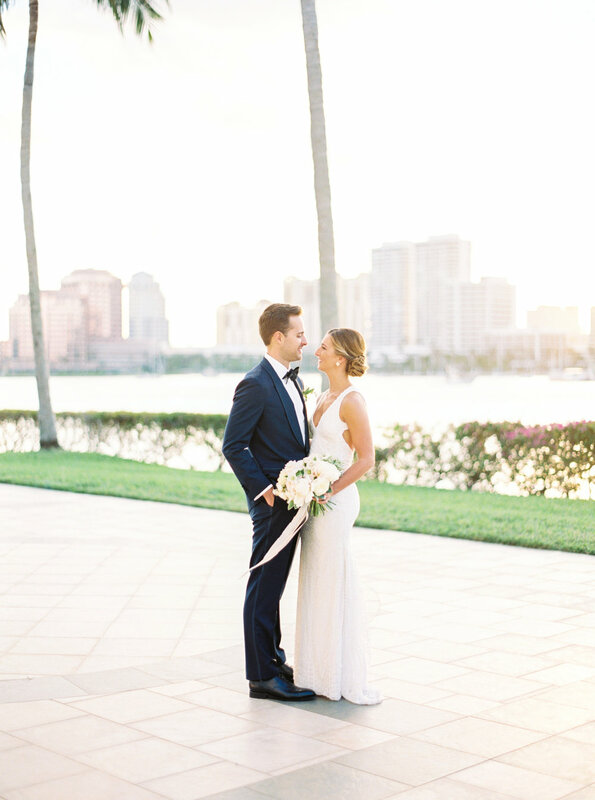 Courtney and Drew wanted to welcome guests into an ethereal waterfront estate wedding. 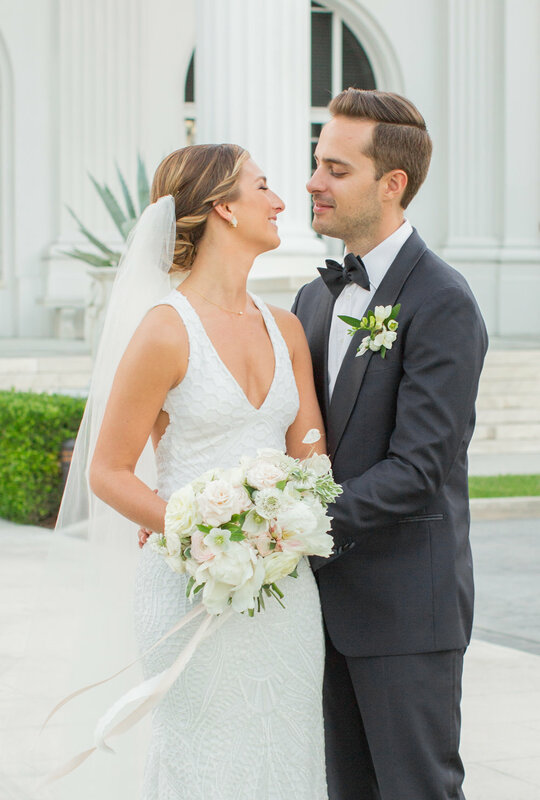 We filled their tables with lush greenery garlands with touches of white blooms incorporated throughout. 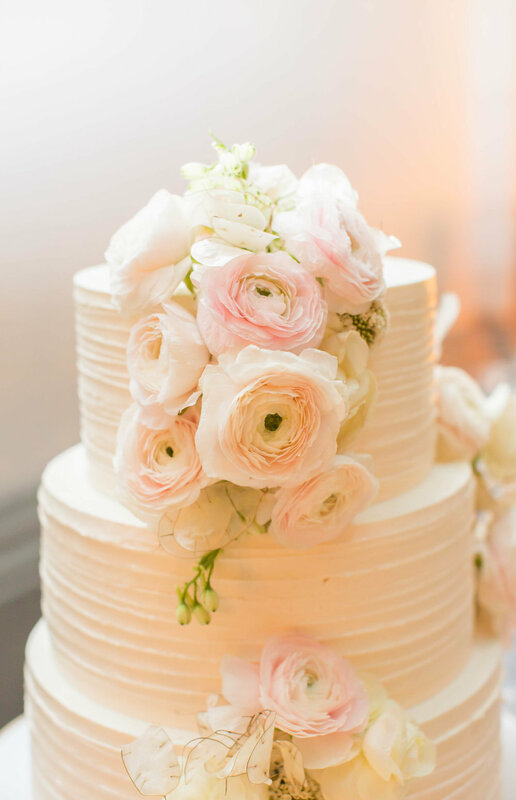 Courtney's bouquet was a dreamy neutral collection of dainty hellebores, fluffy peonies, plush scabiosa, and champagne roses. Everything felt elegant and delicate, bringing the garden inside and setting the tone for a romantic wedding among the stars.